Kvass is a traditional fermented beverage from Russia that typically uses rye bread. But you can also make kvass from fruits and vegetables as well. 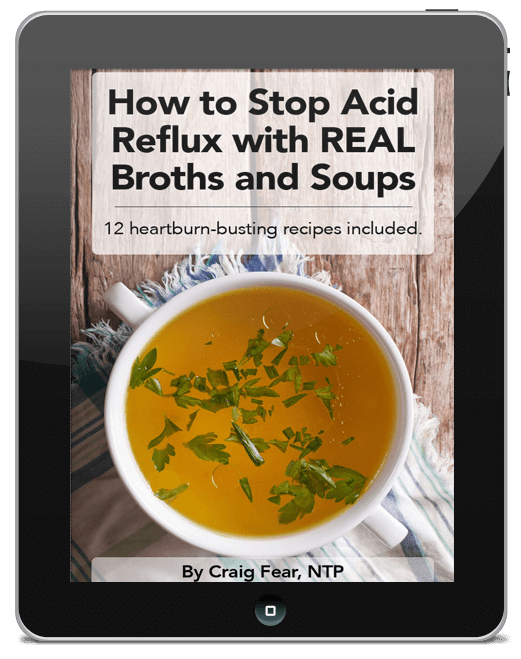 In the traditional food world, you’ll frequently see beet kvass a lot, a simple tonic of beets, salt and water which is great for digestive issues. 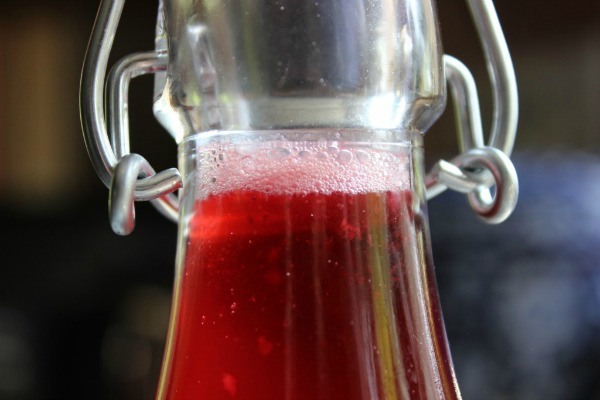 But beet kvass isn’t everyone’s cup of tea. Let’s just say it tastes, well… beety. Fruit-based kvasses however are another story. Even kids love ’em and they make a great and healthful alternative to commercial soda. They’re simply a combination of fruit, water and a little honey that ferments for a few days at room temperature. The fermentation process results in a perfect summer time drink that is both slightly sour, slightly sweet and slightly fizzy. There are infinite variations of fruits, herbs and spices that one could use. Black raspberry kvass would be a GREAT place to start. And yes, you could certainly use red raspberries instead. I used black ones because I got them for free! They’re growing all along the edges of the fields and trails where I walk my dog every day. In the northeast, they’re fairly common throughout July. Just look along the perimeters of fields, playgrounds, parking lots, wooded areas, maybe even your backyard! Also, don’t confuse black raspberries with blackberries. 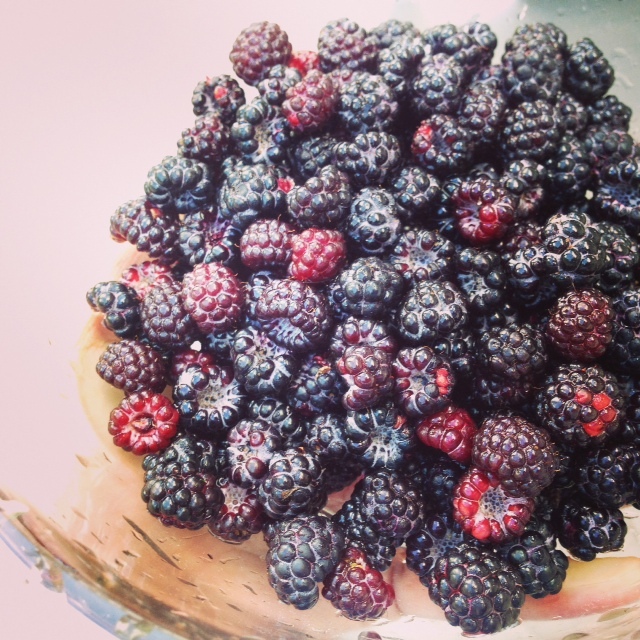 Black raspberries are smaller and when ripe, have a hollow center that easily pulls away from the vine. 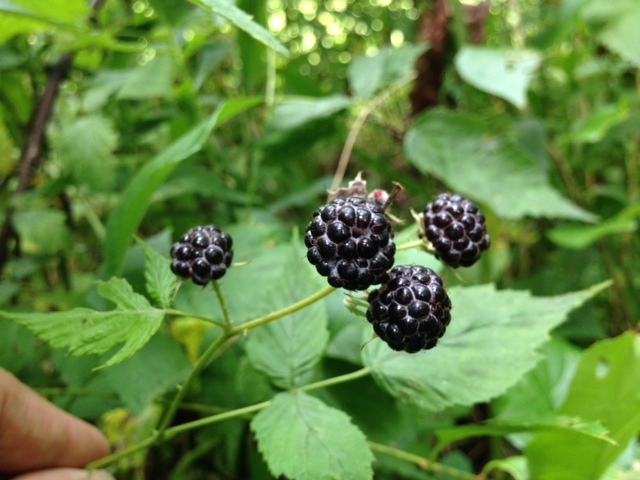 Blackberries when ripe, have a white core and are not hollow. You’ll also have to work a little harder to pick them as they don’t produce as much fruit as red raspberries or even blackberries. It took me about an hour to get a quart’s worth on a recent hike. But for me, that makes harvesting them all the more rewarding. But if you’re not as gung ho as I am about picking them yourself you can probably find them at farmers markets and/or in stores though you’ll probably pay a pretty penny for them. 95% of all commercial black raspberries comes from Oregon. 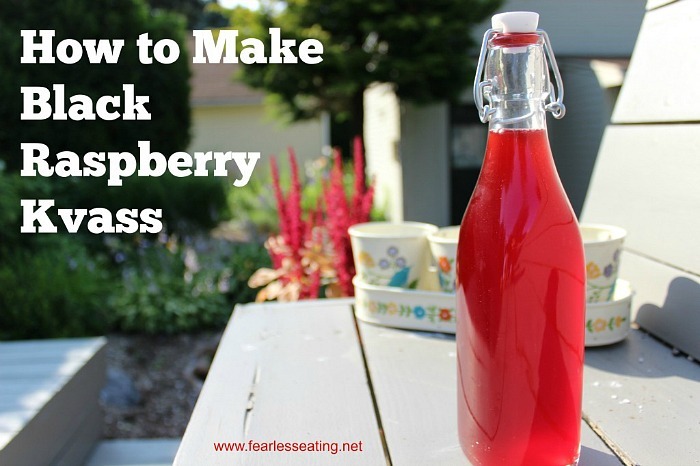 OK, so let’s learn how to make black raspberry kvass! 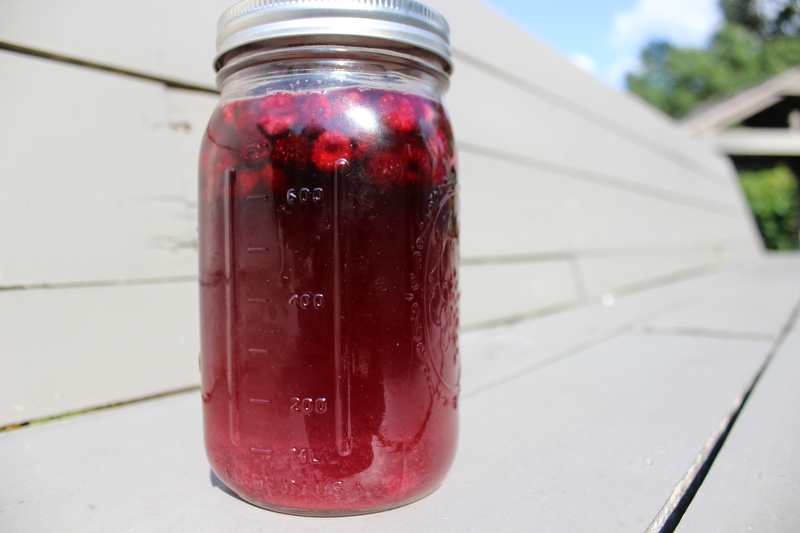 Black raspberry kvass is a kid-friendly fermented fruit drink that is easy to make at home. It's also a healthful alternative to commercial sodas. Most of the raspberries will rise and float on the surface. Simple shake the jar once or twice a day to prevent bacteria from forming on the surface. Leave the jar at room temperature for 2-3 days to allow it to ferment. Each day the water will take on a darker purple color from the infusion of the black raspberries. After a day or two it will start to bubble from the fermentation process. Burp the jars once a day by opening the lid to allow the gasses to escape. Put the lid back and taste the kvass after 2 days. It's ready when it tastes good! This usually happens around day 3-4. It should be slightly sweet but slighty sour. Trust me, you'll know it. If it tastes flat, let it keep fermenting. Things ferment faster in warmer weather. Strain out the black raspberries. They'll have lost most of their flavor to the kvass but you could save them and add them to a smoothie. Now, a note about the use of whey. 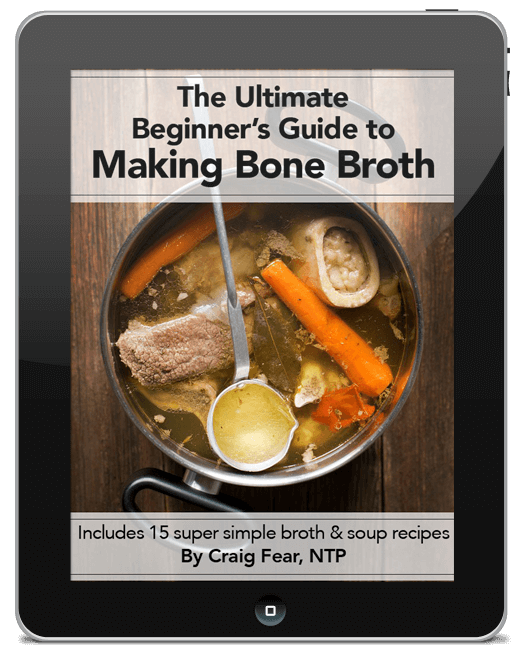 I’ve always used whey when I make any type of kvass. Whey acts as a starter culture and adds some good bacteria that helps to kick start the fermentation process. Recently, I read that whey is not necessary for fermented beverages the naturally occurring bacteria that exist on fruits and vegetables are adequate enough. As always, I don’t trust anyone’s experience but my own. So I brewed two batches of black raspberry kvass, one with a quarter cup of whey and one without and compared them. In my opinion the one with the whey was much better. It clearly tasted more effervescent. I’ll be using whey every time from here on out. If you have a sensitivity or allergy to whey, use a vegetable starter culture instead – some pickle juice or sauerkraut juice would work fine. As an experiment, I also transferred the batch with the whey to a soda bottle (see top image) that I’d just purchased and let it sit for an additional day. Soda bottles help to increase the carbonation and boy did it work well. Now you don’t need soda bottles. Mason jars are perfectly fine. But if you want some extra fizz you can get soda bottles right here on Amazon.